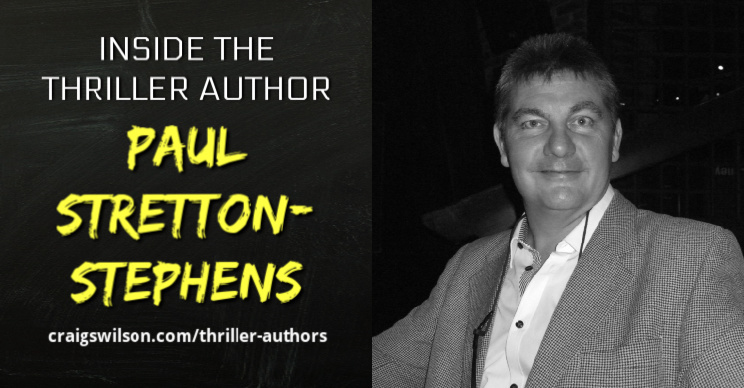 We are going to find out as we dive into this edition of Inside the Thriller Author with Paul Stretton-Stephens! 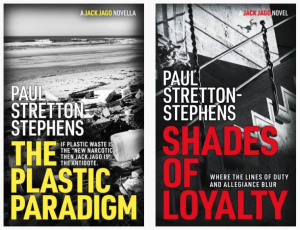 Paul Stretton-Stephens was born in Robin Hood country, Nottingham, UK, He has served in the Royal Marines, Royal Military Police, and the UK Home Office. He has worked as an International Security Consultant, and as a teacher, Paul has also taught Physical Education, and Business Management and before writing full time he held the post of Head Teacher in a secondary school. Paul has written a two-part YA thriller Enemies Rising and published a family story, Ghost School under the name P. Stretton-Stephens. 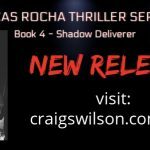 He is currently writing the Jack Jago Thriller Series. Ex-special forces, ex-military police Jack Jago is a man of justice. He may work for the government but for Jago being a deniable private entity has the benefit of not having to adhere to any rules, in fact, his ‘No Rules’ engagement allows him to go where others dare not. Rest assured that where the stakes are at their highest, Jack Jago is the man called upon to provide a rapid solution. Paul has travelled extensively and has lived abroad for some years. He is happily married and lives in Devon, UK where he adores living by the sea. He doesn’t let his visual impairment stifle his activities and is presently learning to play the guitar. So, wish him luck with that! Paul loves hearing from readers, so please feel free to get in touch with him using the links at the end of the interview. Paul, you have a military background. Did you always think about becoming a writer? How does your time in the service inform your writing? To be honest, I haven’t always thought of being a writer, but I have read extensively and mainly thrillers, spy and crime fiction novels. Most of my previous occupations have involved a great deal of writing, witness statements, reports, articles et cetera and when my eye problem deteriorated, I could only think of writing as something I could pursue. My time in the services has given me a real insight and the thoroughly challenging training and subsequent experiences have stayed with me. I have always maintained an active interest in domestic and International security affairs and contact with active players. To maintain currency, I have several reliable sources that keep me up to date with operational and procedural changes should I need them. You are visually impaired. How did this happen and how does it affect your stories? What are the technical challenges? I have an eye condition called cone and rod dystrophy which they finally diagnosed which in 2011 after years of monitoring and tests. It’s a progressive eye condition that plateaued in 2015 and forced me to retire from my Head Teacher’s post. I don’t think it affects my stories at all. You see having limited vision doesn’t mean that I can’t visualize and I see all of my writing in my head as a movie which I can pause, rewind or fast forward. I guess it helped to have been such a visually oriented person before the eye condition. There are however several technical challenges and thanks to technology I can overcome a lot of them. I write using a microphone and speech to text and text to speech software. The computer reads my work back to me although it can prove a slow process during the editing/revision phase. I have a little residual vision in my right eye and can enlarge the text of a lot of websites and documents on my 27inch iMac to enable me to read but it limits the amount of words on the screen. I can also get the computer to read most to me and I have a part-time assistant who checks things for me and researches those items I find most challenging such as tables, charts and other data sources. You’ve written poetry and YA. What made you dive into thrillers? I was speaking to some friends one day and one of them had read an article about writing about what you know. That got me thinking about my background having served in the Royal Marines and the Royal Military Police, and my life in the UK Home Office and as an International Security Consultant. 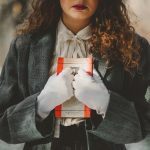 I realised that this added up to many years of experience, contacts, and resources that I thought I could effectively use in writing thrillers and crime fiction. And, I haven’t looked back and now I have an abundance of material that I want to write. I’ve just finished reading The Green Viper by Rob Sinclair and I like the work of LJ Ross, Mark Dawson, Lee Child and David Baldacci. What is your inspiration for your characters like Jack Jago? Jack Jago is an amalgam of some of the characters of people I’ve come across over the years. He has a military background and is now a security specialist who contracts mainly for the governments but without the restraints of protocol and rules. He can often work as an individual but more than likely he heads up a team just like in normal operations in the real world. Jago’s team comprises of two men, an ex-police intelligence analyst and an ex-special forces operative, and two women, one of which is ex-military intelligence and is a wheelchair user. She is the operations controller and the other woman is an ex-MI5 officer. How long does it take you to write a novel? What is your writing process? The time depends upon several factors such as the plot locations, research required, and the story itself, the latter of which dictates the actual length. For example, I’m currently working on my next title, Lethal Promise and I planned for 80,000 words and the first draft now stands at 90,000 before editing. It has taken me about five months to get this far which I’m sure is much slower than some, but I like to do a thorough job with the research as I want the readers to be entertained and in some way be able to relate to the content. As for my writing process, I outline the first few chapters and then the story materializes from there. Tell us about your upcoming books. What can readers expect? When will they be released? As I mentioned previously my next thriller title is, Lethal Promise. The story starts in Australia where a devastating, yet well-planned attack takes place. Jago, who is personally affected by the event on a number of levels seeks to avenge the atrocity. He and his teamwork with the authorities to follow up the event resulting in them investigating bike gangs, drugs and weapons traffickers, an international organized crime organisation, and terrorists. Jago must investigate on the move and travels to mining towns and more exotic areas of Australia to the stunning Maldives and paradise island of Mauritius. The fluid operation sees Jago at his most skillful, cunning, lethal, and at times vulnerable; yet nothing will prevent him in keeping his lethal promise. Lethal Promise is due to be released in March 2019. I think that writer’s need to be able to deliver continuous entertainment throughout their stories. I remember a comment from an editor’s report where they mentioned that my story, unlike many, did not sag in the middle. It kept pace and interest for the reader. And I think that you can only do that if you have a good story with well-researched content that is delivered in a believable fashion. What advice do you have for blind writers? I don’t actually know of many blind or partially sighted writers but I would say to those thinking of writing to go ahead and find the right technology for you to help you achieve your writing goals and ambition. Use technology to your advantage, find a good editor and proofreader. With book covers don’t be afraid to pitch in with your ideas. You may not be able to fully see the end result but at least you’ve had a hand in creating it. And don’t be a recluse, speak to others, even via social media if that makes you feel better. That’s easy, I want to entertain my readers over and over again. Many thanks to Paul Stretton-Stephens for sharing his insights with us. Order his books and follow him on social media using the links below. The Best Thriller Books of 2018 — Which was your favorite?